PhD in Human Geography at Umeå University. Assistant professor at the Department of Service Management and Service Studies, Lund University. 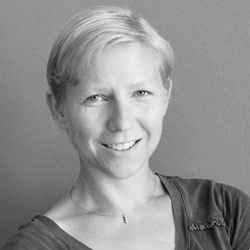 Researcher at the Department of Tourism Studies and Geography at Mid Sweden University. I am interested in mobilities and experiences. In my research projects, I try to find out how people move through time and space, and which kinds of experiences they have along the way. During the last years, focus has been on people involved in tourism- and leisure industries, and this includes both tourists and entrepreneurs. The study of mobility includes a special interest on method development. In a current study, we work with method improvements for GPS- and smartphone applications in order to capture visitor experiences along with their mobility in a Swedish amusement park. Malin Zillinger, Lena Eskilsson, Maria Månsson & Jan-Henrik Nilsson, 2018 Sep 15, 34 p.
Jan-Henrik Nilsson & Malin Zillinger, 2018 Aug 8.